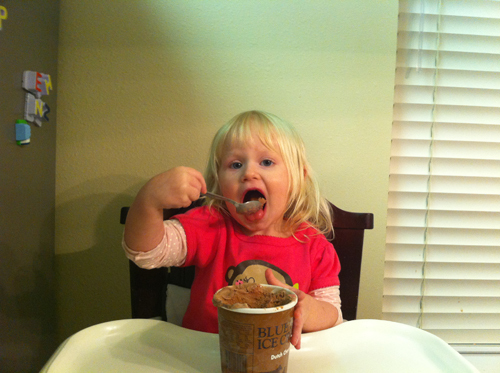 Cayleigh got to eat some Ice Cream for learning to use the potty! She was so proud of her self! So we kept up to our end of the deal and got her some Ice Cream. 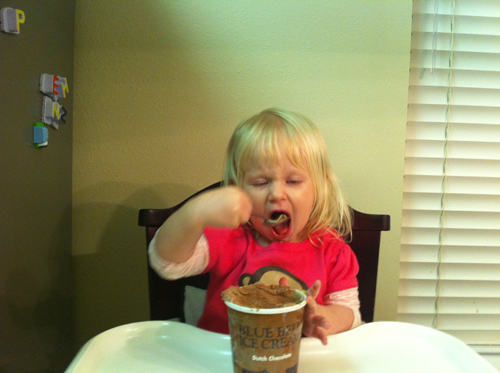 Thats all she could talk about at dinner, she wanted her Ice Cream! Yaaaaaaay were so proud of you Cayleigh girl! Her face is to die for eating those big ol bites of Ice Cream! No diapers all day long!!! !